Only 1 hour's drive from Orlando, step onboard the fantastic cruise ships 'Disney Magic' & 'Disney Wonder' and sail off into the Caribbean sunset. 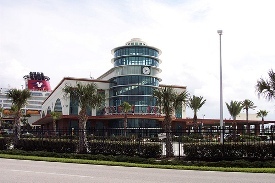 If you already know where your staying in the Orlando/Kissimmee area, please use this useful Google road map search box below to find directions to Disney cruises.....Great tool to pre-plan your holiday or vacation before you leave home! We will keep updating this page via our RSS feed. regarding new additions, changes etc, so click onto the RSS feed above and follow the instructions to keep you on top off what's happening in and around Orlando, including updates for directions to Disney cruises. Choose 15, 8, 7, 6, & 5 nights magical Mexican, Pacific coast, Hawaii & Alaska Cruises onboard the beautiful Disney Wonder! 7, 6, 5 & 2 night New York, Caribbean, Transatlantic & Med cruises onboard the magical Disney Magic!